Jannik Sinner earns third consecutive trophy. Harry Bourchier goes-back-to back in Mornington. Jannik Sinner is still the man to beat on the Tennis Pro Circuit. The 17-year-old South Tyrolean clinched the title of the ITF M25 Santa Margherita di Pula held at ASD Fortevillage on Sardinia to lift his third consecutive trophy on Italian soil in recent weeks. After his surprising win at the ATP Challenger in Bergamo, followed by another title on indoor-hard-courts at the ITF World Tennis Tour M25 event in Trento, he made a little break due to school accompanied by some practice sessions at the Piatti Tennis Center in Bordighera. Top seed Sinner opened his clay-court season, losing the first set in the tie-break against 19-year-old qualifier Florent Bax from France, but he came back winning the next two sets by 6-4, 6-0. In the second round he defeated Corsican Laurent Lokoli, a former World No. 207 in the ATP rankings, followed by straight-set wins over Ronald Slobodchikov from Russia, who had to retire after loosing the first four games in the second set, and Italian compatriot and No. 5 seed Fabrizio Ornago. Runner-up Andrea Pellegrino made his way to the final without dropping a set. The 22-year-old Italian started his journey with victories against his Italian countrymen Antonio Massara and 17-year-old Lorenzo Musetti, who entered the tournament being currently ranked World No. 2 in ITF Junior rankings. After beating 20-year-old and No. 7 seed Giovanni Fonio from Italy, No. 2 seeded Pellegrino stopped the way of his compatriot Alessandro Petrone in the semi-finals. Jannik Sinner dominated the final. He capitalized on five of his six break points, fighting off all five break chances from his opponent. Sinner sealed a 6-1, 6-1 victory in one hour and nine minutes to extend his winning streak to 16 victories. Sinner earns three ATP-Ranking points, entereing the Top 320 in ATP rankings this week. Over the next two weeks, organizers of the ATP Challenger 80 tournaments in Alicante and Barletta offered Sinner a main draw wild card. In his opening match in Alicante, the teenager will meet 15-year-old Carlos Alcaraz Garfia from Spain, who is the current World No. 48 in the ITF Junior rankings and was also granted a wild card. Alcaraz clinched the title of last week’s ITF Junior-Event Grade 1 held at the Ferrero Equelite Sport Academy in Villena, the place tha hosts the Challenger event this week. 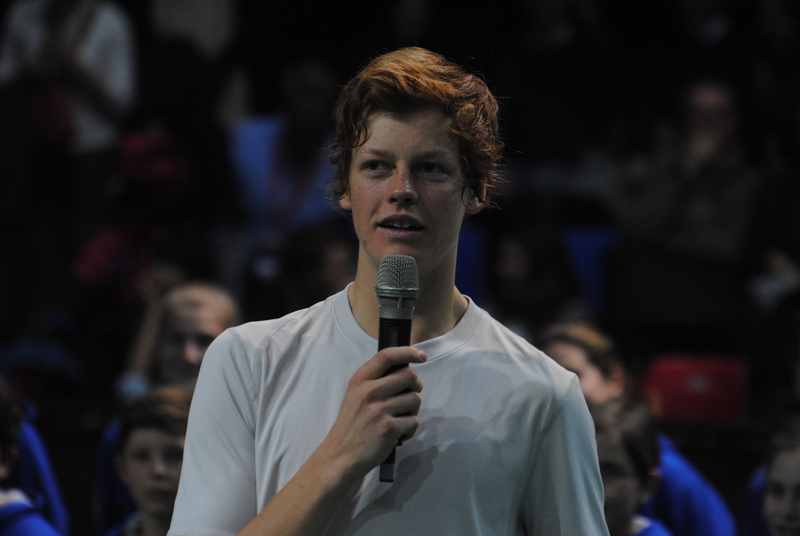 Tasmanian Harry Bourchier has snagged back-to-back titles, being crowned singles champion at the Mornington Peninsula Tennis International 2 held at Mornington Tennis Centre. Second seed Bourchier, who won the event last week to claim his maiden ITF singles title, was too strong for his Australian compatriot Christopher O’Connell. Bourchier started his run in Mornington this week by taking out Australian wild card entry Alexander Crnokrak, followed by another straight-sets victory against qualifier Stefan Skadarka from Australia. In the quarterfinals the second seed was tested by in-form compatriot Aaron Addison, who pushed the Tasmanian to three sets, Bourchier only narrowly escaping an upset 6-7, 7-5, 6-3. Fifth seed O’Connell did not drop a set on his way to the final, cruising through his opening round against Australian wild card entry Mislav Bosnjak before being tested by 18-year-old Australian Dane Sweeney, who is currently No. 24 in ITF Junior rankings. Then he came up against Swiss Luca Castelnuovo, who could not avenge for the defeat in last weeks semi-finals. The scoreline was almost identical to last week’s battle with Castelnuovo eventually succumbing to O’Connell by 3-6, 6-7. Due to bad weather the all-Australian semi-finals and the final had to be moved to Melbourne Park. 24-year-old O’Connell took down number one seed Jacob Grills 7-6, 6-3 on his way to the final, while Bourchier toppled 18-year-old and current No. 16 in ITF Junior rankings Rinky Hijikata by 7-5, 6-1. In a rematch of last week’s final, Bourchier again showed his class against O’Connell, taking the early lead, then fighting back after dropping the second set to pull ahead in the third. After two hours and 16 minutes under lights at Melbourne park with firing 12 aces he held fast to claim victory and his second title in as many weeks by 6-4, 4-6, 6-3. He was also full of praise for his opponent O’Connell to face him again after last weeks final: “Last week in the final I said to him after the match ‘I’ll see you in the final next week, so I’m happy that that happened and I that was able to win this week as well.” Bouchier said. After a few weeks of rest Bourchier will head to tournaments in China next. 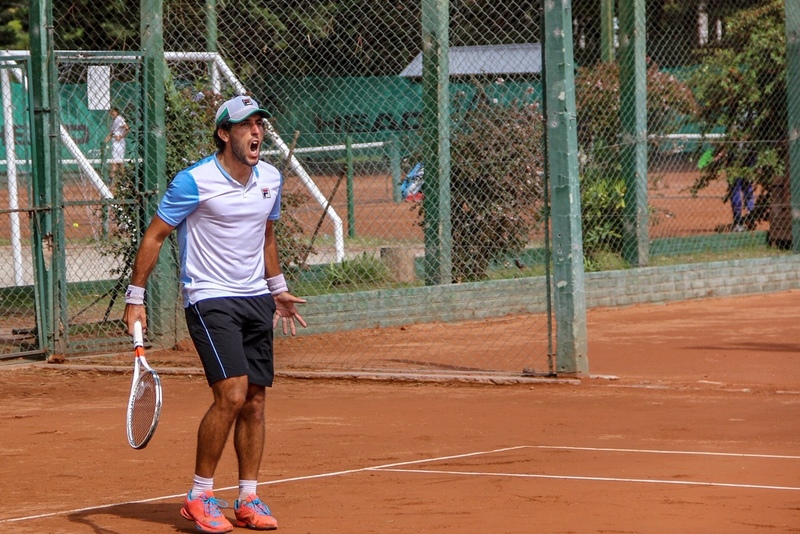 Hernan Casanova capped another dream week at the 2019 Tenis Ranch Pinamar Tour 2, winning the singles and doubles competition. The No. 6 seeded Argentine made his way to the final, beating exclusively compatriots without dropping a set. After his victory against 20-year-old Genaro Alberto Olivieri, who was previously No. 8 in ITF Junior rankings, he battled down 17-year-old Roman Andres Burruchaga, who entered the competition by his current ITF Junior ranking. The 25-year-old Casanova went on with wins against 21-year-old and No. 3 seed Manuel Pena Lopez, who was former No. 11 in ITF Junior rankings and 19-year-old Tomas Martin Etcheverry, who was last week’s runner-up. Etcheverry, former No. 12 in ITF Junior rankings, rallied past 19-year-old compatriot Camilo Ugo Carabelli in straight sets. 25-year-old countryman and former No. 19 in ITF-Junior rankings Juan Ignacio Galarza was the man to beat in the top half of the main draw without dropping a set in an all-Argentine battle. The No. 7 seed opened the competition with clear wins over qualifier Gabriel Alejandro Hidalgo and wild card entry Franco Agamenone, followed by victories against qualifier Guido Ivan Justo, who battled past top-seeded Brazilian Pedro Sakamoto in straight sets and No. 4 seed Gonzalo Villanueva. The titlem atch was a tough three-set-battle lasting two hours and 33 minutes. After losing the first set in the tie-break, Casanova got control of the match, winning the next two sets by 6-4, 6-1. After lifting his 15th career singles trophy on ITF World Tennis Tour he crowned his great week, winning the doubles tournament alongside his countryman Franco Agamenone. Former ATP No. 52 Igor Sijsling confirmed his favourite position at Soho Square in Sharm El Sheikh. In the final the top seeded Dutchman stopped the great run of 18-year-old Gilbert Soares Klier Junior, who was No. 10 in ITF Junior rankings last year and entered the competition by his Junior ranking. The Brazilian, who reached his second singles final on the ITF Pro Circuit, battled past last week’s champion Kacper Zuk from Poland in the stage of the final four in three sets. No. 2 seed Jacopo Berrettini suffered an early defeat. The 20-year-old Italian, who reached the final in Sharm El Sheikh two weeks ago, fell to Pablo Vivero Gonzalez from Spain in the opening round in two sets. The title-match was an encounter with three fast sets, lasting one hour and 29 minutes. 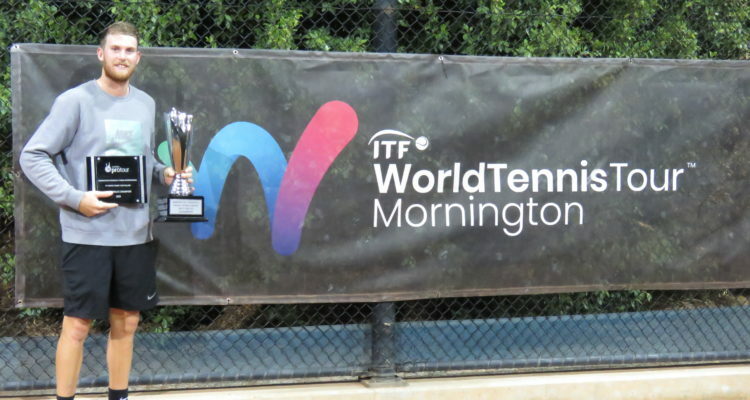 After serving nine aces and capitalizing on four of his five break chances, 31-year-old Sijsling finished the match by 6-2, 3-6, 6-1 to lift his second trophy on ITF World Tennis Tour in 2019. Quentin Robert, representing French oversea-departement Reunion, celebrated the win of the ITF M15 held at Israel Tennis Center Yad Eliyahu in Tel Aviv. After his title two weeks ago in Poitiers/France he could lift his second trophy on ITF World Tennis Tour in 2019. The 25-year-old made it to the final through straight-set wins against Italian top seed Alessandro Bega in the quarterfinals and 19-year-old Israeli Yshai Oliel, who was previously No. 4 in the ITF Junior rankings in the semi-finals. Runner-up Edan Leshem confirmed his No. 2 position with a three-set-battle in the semi-finals. The 22-year old Israeli defeated No. 5 seed Dominik Boehler from Germany 4-6, 6-0, 6-1. No. 6 seed Robert secured victory against Edan Leshem in three sets 6-3, 2-6, 6-1, lasting one hour and 50 minutes. Shintaro Imai captures the title of the Meikei Open Tennis 2019 held at the University of Tsukuba Taigai Tennis Court to celebrate his second win on Japanese soil in 2019. After his surprising victory against Australian No. 2 seed Ellis Blake in the opening round, the 25-year-old Japanese held off 18-year-old countryman Naoki Tajima, who was No. 8 in the ITF Junior rankings last year, winning in straight sets in the semi-finals. Last week’s Kofu-Champion Jumpei Yamasaki from Japan made it to the title match also wiht a clear two-set win in the semi-finals against qualifier Mick Veldheer from the Netherlands, who knocked out Japanese top seed Makoto Ochi in three sets in the second round. Imai won the final 6-4, 6-4 after one hour and 24 minutes. He capitalized on three of his five break points by dropping only one service game. After lifting his seventh singles trophy onthe ITF World Tennis Tour, Imai crowned his great week adding the doubles title by partnering 19-year-old Yu Hsiou Hsu from Taipei, who was previously ranked a Junior World No. 5. 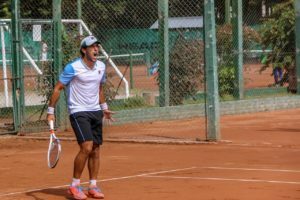 The Cancun Tennis Bowl 2019 held at Cancun Tennis Academy concluded with a win of Facundo Mena. On his way to the final, the 26-year-old Argentine defeater former No. 4 in the ITF Junior rankings Emil Ruusuvuori in a tough three-set-battle in the quarterfinals. The 19-year-old Finnish was champion of the ITF tournament in Oslo earlier this month. In the semi-finals Diego Hidalgo wanted to take revenge for the defeat at last week’s title match against Fernando Mena. Following an epic battle lasting two hours and 38 minutes, Mena got another win against his lefthanded 25-year-old opponent from Ecuador 7-6, 6-7, 6-1. He capitalized on four of his 18 break chances. Top seed Juan Pablo Varillas from Peru dropped only one set en route to the final against British Andrew Watson in the second round. In the title match 23-year-old Varillas earned the first set 6-4, but Facundo Mena came back to win the next two sets 6-3, 6-1. Mena served 10 aces to lift his first singles trophy on hard courts following his six triumphs on clay. Former ITF Junior No. 4 Geoffrey Blancaneaux was the dominating man at the Thabraca Magic Hotel in Tunisia. The 20-year-old Frenchman captured his second title of the season without dropping a set during the competition. Blancaneaux met No. 6 seed and 20-year-old Spaniard Nikolas Sanchez Izquierdo in the final, who defeated No. 2 seed Lucas Catarina from Monaco in two sets in the quarterfinals. The top sealed another straight-sets win in the title-match 6-2, 7-5 after one hour and 34 minutes to lift his overall ninth trophy on ITF World Tennis Tour. ✅ Tournoi @ITF_Tennis de #Tabarka en #Tunisie  : victoire en finale 6-2, 7-5 contre l’Espagnol Sanchez Izquierdo. Avec le titre en simple à #Doha, ça fait au mois de mars. Vaclav Safranek is the champion of Tennis Organisation Cup 2019 held at Starlight Resort Hotel in Antalya. The top seed from the Czech Republic made it to final by interrupting the succesful run of 22-year-old Dmitry Popko in the quarterfinals. No. 5 seeded Popko started in his sixth consecutive Antalya-tournament, making it to four finals, earning three titles. Safranek took on No. 2 seed Marvin Netuschil from Germany in the final. After loosing the first set 4-6, the 24-year-old came back to clinch the next two sets 6-1, 6-2, lasting two hours and nine minutes. For Safranek it is the 11th career trophy on the ITF World Tennis Tour. This entry was posted in ITF World Tennis Tour, ITF World Tennis Tour News and tagged Harry Bourchier, ITF World Tennis Tour, Mornington.